I know….I took forever getting to this one but quite frankly I was SO dang nervous picking this one up here. This book was quite different and I honestly didn’t know what to expect. My main focus was Rhage and Mary. They are still my favorite couple that Ward has written. There are quite a few of them I love, but these two I fell in love with from the very beginning. So it was nice to see how their “happy ever after” has been progressing. She was the watch on his wrist, the roast beef when he was starving, and the pitcher of lemonade when he was thirsty. She was his chapel and his choir, the mountain range to his wanderlust, the library for his curiosity, and every sunrise or sunset that ever was or would be. She was all the power in the universe coalesced into a living, breathing thing, the miracle that he had been granted. Well marriage and/or mating is a challenge, and we see how these two deal with self doubts and insecurities. At the beginning of the story, we see Rhage fighting with his brothers against some lessers. Then we are taken to Mary, who is dealing with her own test. She is helping a little girl “Bitty” who suffer from a trauma that Mary relates on a personal level. I found it very interesting to see how J.R. Ward started this book. By seeing Rhage and Mary kinda on their own “mission”. But when it really matters, they come together, work out their issues and become even stronger than before. Now this couple tore me to shreds emotionally….wow this book totally packed a punch for me. Seeing how they work through their issues, and certain development that really adds more depth to their relationship. I loved the way these two grow even closer than in the first book Lover Eternal. We see Rhage and Mary come in contact and build a strong connection with this little girl Bitty!! Now I adored Bitty, and Rhage really connects with her. Its like he is the Bitty whisperer or something. Mary has been working hard to connect with Bitty who suffered through an abusive father, and her mother has recently died. Now seeing Rhage and Bitty together is priceless. Nothing is sexier than a big alpha male be charmed by a little girl. And so many fun moments between these two from introducing her to ice cream, to showing her the beauty of horses in his GTO engine and how she is charmed by his beast. Mary had to turn around again. Bitty was looking forward, her brows super-high, her little face the picture of surprise. Now the brotherhood….it was quite interesting seeing what has changed, since the last book I read was book 10, so there is a bit that I have definitely missed out. The angel that loves to play with Rhage (and man I love the tricks he plays on Rhage…hilarious) and is obsessed with TV was hilarious but he is solid and loyal. We get some scenes between V and Jane that was interesting. What I found unique was how adding a couple of children to the mansion adds curiosity and questions to have kids for the other couples hehe Its like a plague or something and it was fascinating seeing characters that had no issue with remaining childless suddenly ask themselves questions about having kids. hehe I would have liked to see more of some of the other couples but toward the end we get some moments that were “put a smile on your face”. I was curious about the teaser we are left with dealing with Layla and her love interest in a enemy of the brotherhood. So I am curious to see if that thread will be continued. 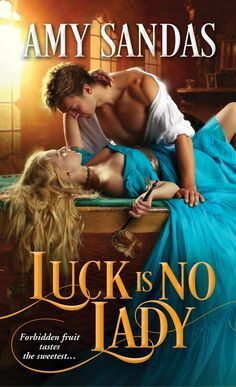 If you like this author and have fallen in love with this series as I have….this is definitely a must read especially if you fell in love with Rhage and Mary. I just adore this cover….ever since it came out it is the BEST cover of the series!!! I love the night stormy scene, and the intensity of the pose here and all that muscle!!! LOVE the abs and pecs here.